What's The Prettiest Racetrack In The World? 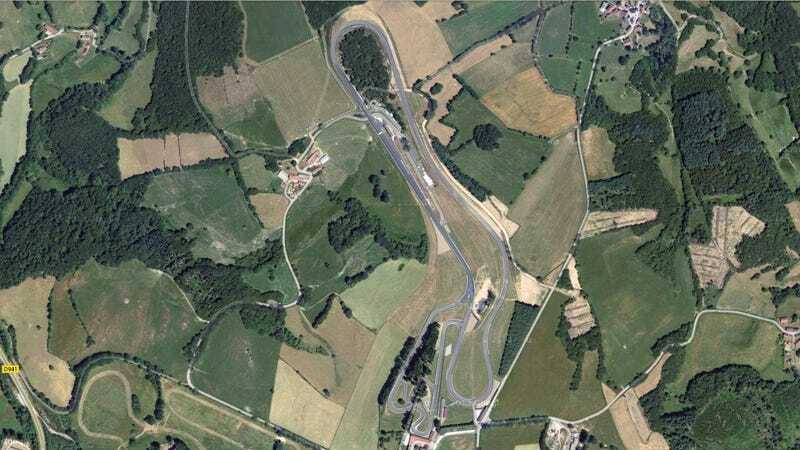 This is the circuit Le Mas du Clos. It was built as a private track in the rolling hills of France by a private collector. It is small, it is obscure, and it is beautiful. How beautiful? Well, take a look at Jacques Laffitte running an F40 around here and you'll see just what I mean. It's like an idyllic country drive, only at the limits of adhesion. There are many, many gorgeous racetracks in the world, though. Ones that cut through rock faces and dart in and out of forests. Which one do you think is the very prettiest in its current guise, today?